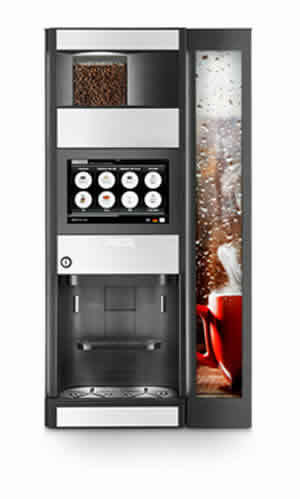 Description: The Wittenborg 9100 is the cutting edge in office coffee brewer innovation. This high volume brewer gives the user the ability to choose from over 100 different drink combinations. Fresh ground American coffee as well as espresso, cappuccinos, lattes, hot chocolate, French Vanilla, Chocolate lattes, Vanilla lattes, are some of the many different drink combinations. Great for offices of 50 or more people. Available for demo!